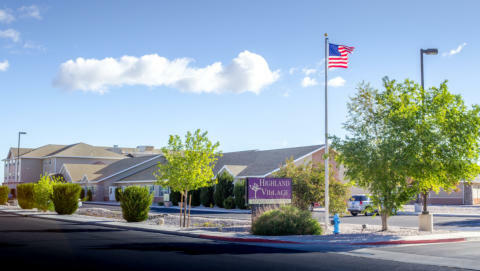 Highland Village of Fallon, a not-for-profit retirement community, is proud to offer a wide variety of services within our full continuum of care campus. We have Highland Estates Retirement Apartments, Highland Inn Assisted Living, Highland Manor Skilled Nursing, our Bounce Back Rehabilitation Program, AJ’s Fitness Center and Wellness Program, Outpatient Therapy Services, and Garden Court Alzheimer’s/ Dementia Care. Whatever your need, Highland Village is available to help!